Denali (formerly Mt. 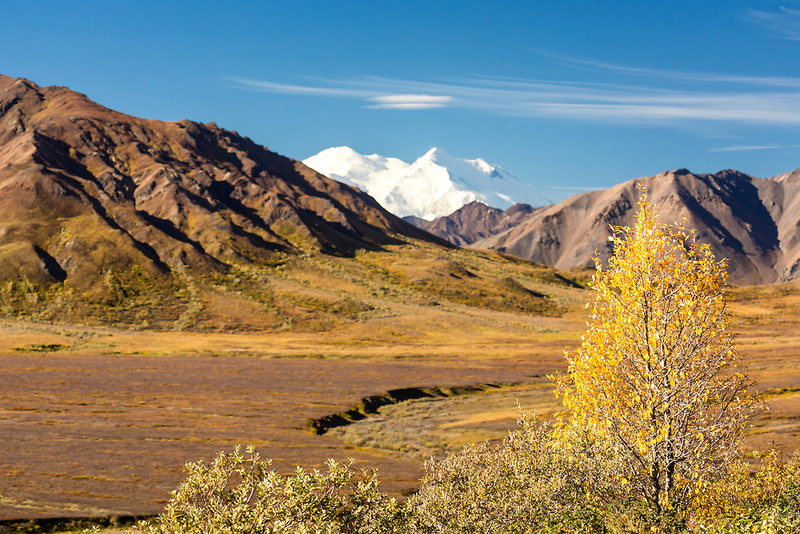 McKinley) looms large in the distance in Denali National Park in Interior Alaska. Autumn. Morning.